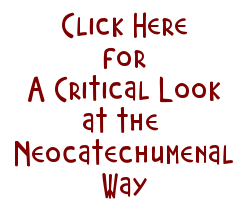 JungleWatch: NOTE TO "ARCHDIOCESE": DO SOMETHING! 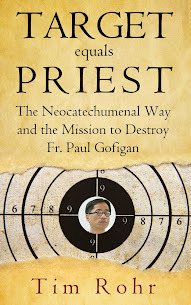 NOTE TO "ARCHDIOCESE": DO SOMETHING! 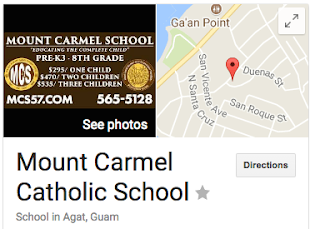 The Mount Carmel Alumni and Endowment Foundation is a nonprofit organization contracted to manage the Agat school more than seven years ago after the archdiocese decided it would close the school, the archdiocese said. The unique arrangement placed the legal authority to operate the school under the foundation, the archdiocese said. While Apuron pumped millions into his pet seminary and trotted about the globe with his boys in tow, Catholic parishes and schools have struggled and languished. And Apuron's answer was to close them. And while I applaud what is essentially the private sector coming together to save the school, and even further applaud them for separating it from Apuron's control, Mt. Carmel has become essentially an autonomous private school and not a "Catholic" school, which is why its governance can thumb its nose at the "archdiocese." So a couple of notes here. First. It sure would be nice if the "archdiocese" stops saying "archdiocese," and require someone to actually put his or her name to the damn statements. But then he or she could be held accountable, and apparently our "archdiocese" is just not there yet. Second. It would be even better if the press STOPPED running with unsigned and nameless press releases from an "it," and demand that a real person be quoted. Third. How appropriate that this fiasco is connected with, guess where? Agat, the scene of Apuron's other crimes. Can. 216 "...no undertaking is to claim the name Catholic without the consent of competent ecclesiastical authority." But Yvonne Elliman is not "Mary Magdalene," nor is she "Yvonne Elliman - celebrity." She is just another person who broke the law. And one wonders if what she did is any worse than those who insist "the show must go on," given WHO the show is for. Meanwhile, "archdiocese," stop talking and DO SOMETHING. For further reading on the issue of the school's name, go here. Sad that what was supposed to benefit the children who go to mt. Carmel, it's now tainted with the fact that drugs still played a part when we are supposed to teach our kids about being drug free. Is money really worth it given the gravity of situation? Or is society supposed to just turn the blind eye because it's a first offense and it's for a good cause? $200 a ticket is a pretty hefty seat to watch a drug user. 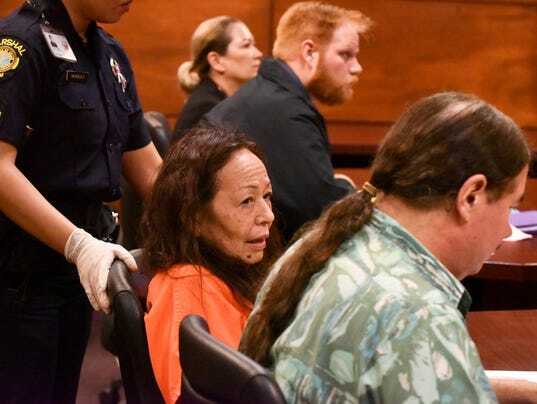 I'm still wondering how both the husband and the wife actually boarded the plane in Hawaii with the drugs in their luggage and none of the agencies caught it in Hawaii but yet they can catch plants or invasive species at the airport or other points of entry. I think the archdiocese has enough of its own problems that this just adds more fuel to the fire and shows how desperate the school board is. That's probably why the archdiocese didn't want to step up to the plate and stop the event from happening. Just sad.... 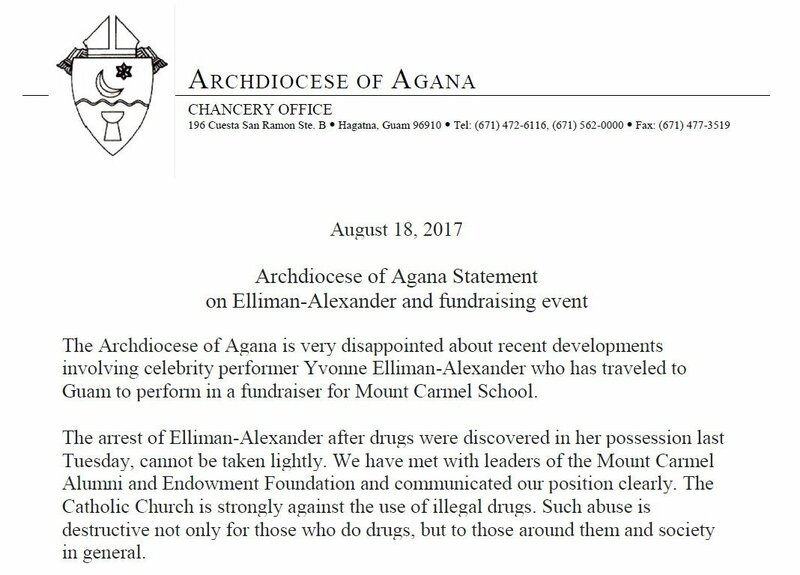 It also shows how much the archdiocese is a hypocrit trying to teach kids to say no to drugs when here they are allowing this event to continue. Guess drugs does pay when people are desperate. They all want a piece of the pie. The school is not an archdiocesan school which is why they MUST disallow the use of the word CATHOLIC in its name. I'm disappointed that the Mt. Carmel foundation chose to continue with the performance after the arrest of the headlining act. Instead, they could have chosen to set a good example for the kids and the community and allowed the concert to continue without the participation of Ms. Elliman. The Mt. Carmel stage band are super talented, wonderful musicians and highly entertaining. I believe if they cancelled Ms. Elliman's performance and instead had the Mt. Carmel stage band be the main act, the community would have rallied behind them and perhaps could have raised even more money for their school. It would have also sent home the message that money is not more important than morals. Sadly, that's not the case. values we want to pass on to our children? Ann A. Make no mistake your tax dollars are financing mount Carmel. Mike phillips bills the port an average of $60,000 EVERY MONTH and asks them to hurry payment since he has payroll at the school to pay out. The Yvonne Elliman situation is not surprising. Autonomous Catholic schools I've seen and those operating "in the Catholic tradition" are awful. All of the independent Catholic grade schools in the region where I live closed due to low enrollment. From pre-school through college, rich or poor, these schools are accountable to no one but themselves and they practice their own version of Catholicism. They operate entirely on their own agendas, usually extremes of the left or right. Not a pleasant group. The statement of being accountable to no one except themselves, is similar to the problem of the NCW on Guam. Mt. Carmel school administrators......remove the word catholic from your title, since the archdiocese is unwilling to do so. The Archdiocese has no control or authority over autonomous "Catholic" schools like Mt. Carmel. They're totally independent entities like secular private schools. If so inclined, all the chancery needs to do is make an official public statement that Mt. Carmel is an autonomous institution that has never been affiliated with the Archdiocese of Agana and, as such, is not Catholic as defined by Canon(s) #YadaYada. Mr Carmel doesn't care about the catholic religion just the music and making sure Mike Phillips looks good for his annual Christmas party. My coworkers son was playing for Mt Carmel one year at the party and he saw several people openly smoking marijuana there and nobody cared! She pulled him out of the school that January and put him in public school. The fake Catholic school is too stupid to see that the $20,000 bond meth head Elliman and her husband had to post on those first and third degree felony charges, plus their upcoming legal fees, pulled the rug right out from under the endowment fund. The moldy concert headliner has been washed up for decades and she certainly can't afford to make any donations now. For more reasons than one, the concert should have been cancelled. Whoever booked a wizened up 1970's disco doper like Elliman for the benefit concert is 9 kinds of idiot. Just like the parents who send their kids to that degenerate school. Guam has an atrocious educational system, so it's no wonder Apuron's perversions flourished there unnoticed for 30 years. Had Phillips said something like: "We regret this unfortunate incident and due to the fact that this is a benefit concert for a school, there is no way we can move forward with Ms. Elliman as our headliner. Instead, we will feature the magnificent students of Mt. Carmel School, who, on their own, are every bit as gifted and talented as the person we had planned to feature. And we invite the public to show their support for these young people as they work to benefit their school despite the sudden adversity." The public support for the Mt. Carmel band and school would have been overwhelming. In fact, they would have raised MORE money than with with Ms. Elliman. But then that tells us a lot about what is really going on, doesn't it. Mike Phillips will fight the archdiocese against taking back the school. It's all about his big ego. This will get ugly. People at Mt. Carmel must be very low class if they'd invite someone like trashy Yvonne Elliman to entertain their impressionable kids.